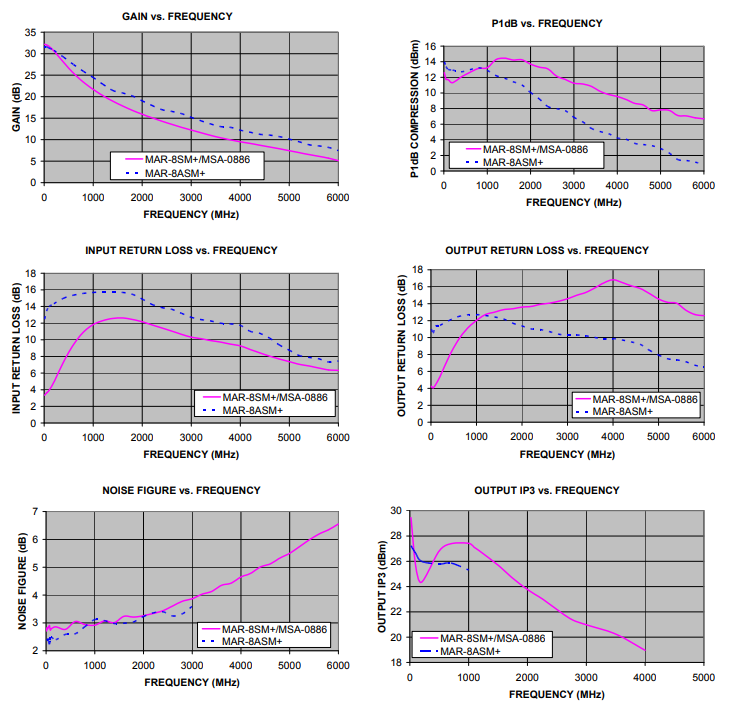 If Rbias>250 ohms, RFC can be eliminated. 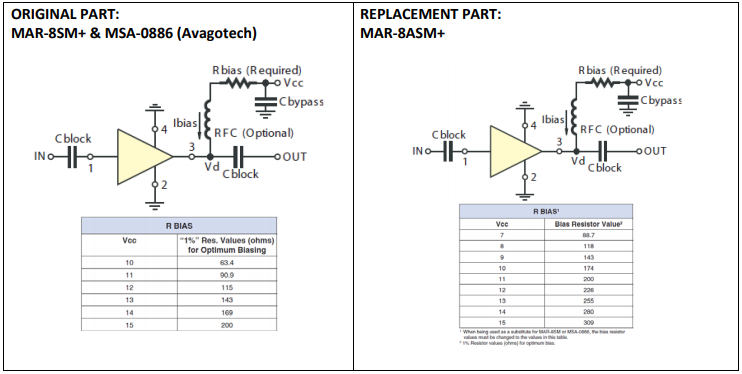 Original part MAR-8SM+/MSA-0886 has poor Input and output return loss, 4 to 14 dB vs. MAR-8ASM+ has 12‐16 dB typically over 50-1000 MHz. May affect external matching elements. a. Suitability for model replacement within a particular system must be determined by and is solely the responsibility of the customer based on, among other things, electrical performance criteria, stimulus conditions, application, compatibility with other components and environmental conditions and stresses.